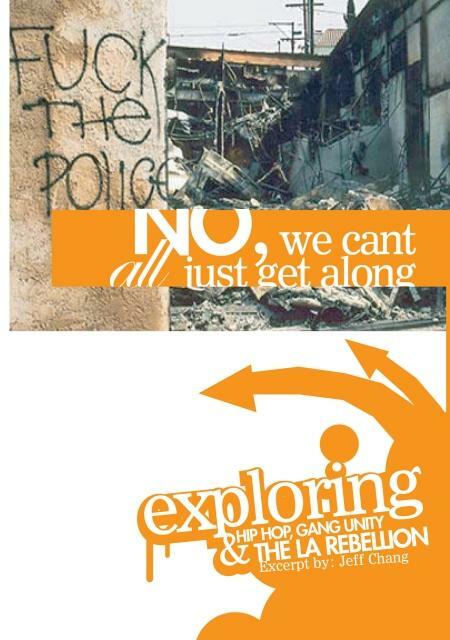 Excerpts focusing on the lead-up and aftermath of the LA riots from Jeff Chang’s Can’t Stop, Won’t Stop: A History of the Hip-Hop Generation. This Zine offers valuable insight into how armed proletarian street organizations, united against the police, and did so in the context of a modern urban insurrection. In a post-Ferguson america, these lessons are as relevant as ever.